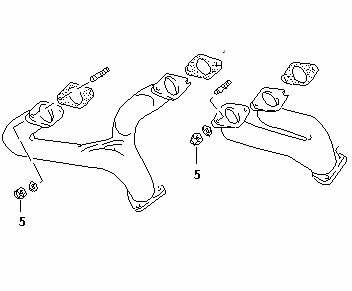 If you find yourself having trouble trying to get those old exhaust nuts off, don't make the same mistake twice. 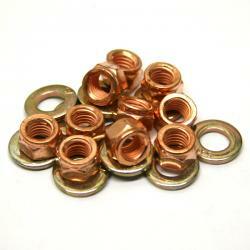 Replace them with these copper clad nuts that will not bind to the exhaust hardware. They also feature a split top locking design to keep them secure. These are 8mm x 1.25 thread with a 12mm hex. They come with double thick (2.5mm) washers.